Go here to request a free potty training kit from Pampers. It includes a free sample of Easy Ups trainers, coupons, activities, and more. Here are some printable coupons I’ve gathered. Most coupons can be printed twice (print, then use your browser’s back button to print again). If you have trouble getting a coupon to print, try using a different browser (IE or Firefox). Happy printing! Also, many of the coupons on Coupons.com, Smartsource.com, RedPlum.com, and other coupon websites were reset at the beginning of July, so you may want to print some coupons at those sites. Pregnancy, babies, and children can be expensive. To try to minimize the cost, you can find all kinds of coupons and resources on the internet. I have gathered up some coupons and websites to help you save a little dough if you find yourself in the “baby stage” of life. If you find yourself using a lot of one particular product (formula, diapers, baby food, etc. ), then one of the best resources for saving money is eBay. Yes, you heard me. eBay! You can buy all kinds of coupons on eBay in large quantities. If you don’t have much time or don’t want to mess around with bidding, then you can purchase using Buy It Now. After entering your search terms, just click on the Buy It Now tab to see everything that is available now. I compiled this list of resources for saving money. If you know of other coupons or resources, please leave them in the comments section for me and other readers to see. Thank you! Go here to sign up for Luvs diapers mailing list. You will be able to print a $1.00 coupon for Luvs after you sign up, an I imagine you will receive more Luvs coupons in the mail later. Go here to print a coupon for $5 off a $25 purchase at Babies ‘R’ Us. It looks like you can print as many copies of this coupon as you would like. Coupon expires July 21, 2009. You can combine this coupon with other sales and coupons at Babies ‘R’ Us. Manufacturer coupons can also be used in addition to this coupon and other store coupons. This could help you get a great deal on diapers or other baby gear. You may be able to use the coupon on baby supplies at Toys ‘R’ Us; ask or call ahead at your store to see if they will accept it. 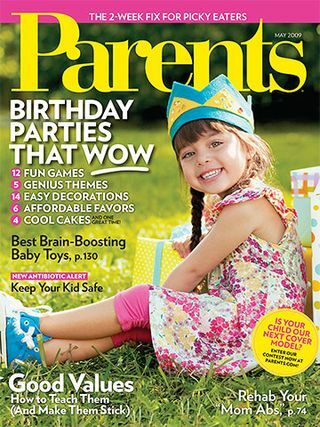 Click here to request your free 2 year subscription (24 issues) to Parents magazine. Hurry! Offer is only available while supplies last, and it will probably go fast! Be sure to click “please do not send me any more special offers” if you don’t want contact from them in the future. Also, you may click here for 1 free issue of Bridal Guide magazine. If you use Pampers diapers &/or wipes, you need to sign up for the Pampers Gifts to Grow program. You earn points by entering the unique product codes from the packaging on Pampers products you buy. You can also earn points by entering special codes that Pampers gives out periodically. Then, you can redeem points for rewards such as gift cards and baby toys. I don’t know for sure that all of these codes are still valid, and you won’t be able to use a code that you already entered in the past.